Splendid! 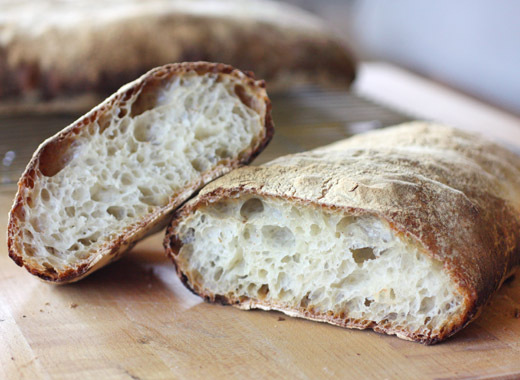 Homemade ciabatta is unbeatable and yours looks delicious. Perfect. Lisa, your ciabatta looks PERFECT! Bread in general is my nemesis, so I'm very impressed with that ciabatta. It looks absolutely perfect. Great looking bread. Mrs K R has been doing a ton of bread baking lately (using the no-knead technique). I'm sending her the link to this - she'll be interested. Really good stuff - thanks. Just spectacular Lisa! Ciabatta is a family favorite. You have inspired me to give a try! I've never attempted ciabatta, I really could do with a slice of yours though! AWESOME! Don't you love when you get over a major cooking trauma? You are inspiring me to try to bake a genoise cake..... talk about nemesis! great looking ciabatta, Lisa! Haven't made bread in a while, time to try to stick some in my schedule! I could eat the whole loaf, esp. with olive oil and balsamic or bruschetta. This looks incredible Lisa. What an acheivement. I agree, it is quite hard to make bread this beautiful. 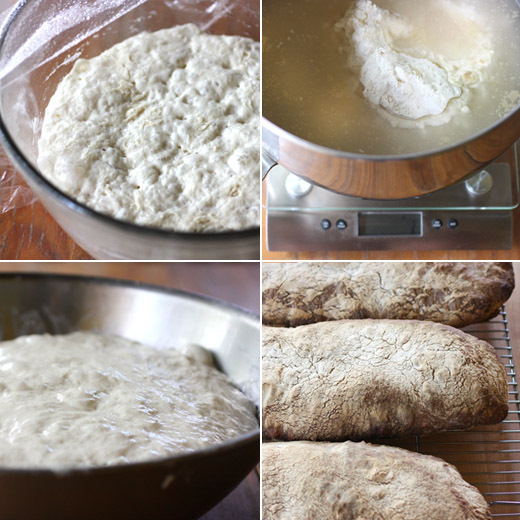 I actually have never attempted ciabatta but you make me want to! looks totally awesome. will definitely give this a try. Oh my gosh...those holes!!! Just so gorgeous. Wonderful looking ciabatta - great job! 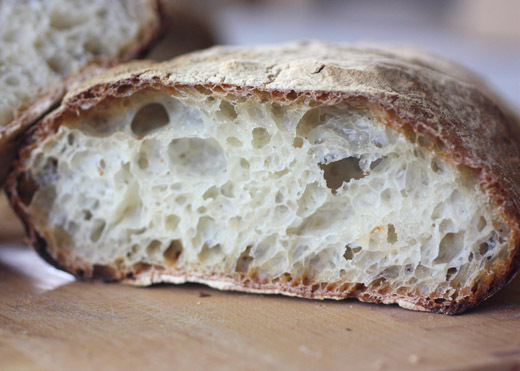 I love ciabatta: crispy, soft and so satisfying. Great you found your perfect recipe now, will bookmark this to try it myself! Amazing looking bread Lisa! I've attempted it once before and got a boring bland too dense loaf. But I'm not nearly the bread baker that you are. Great job! This is a huge deal! Congrats on your success! I have such issues with bread. I know what it feels like when you finally conquer. This looks so great! What perfect ciabatta! I never make straight bread like this as much as I love yeast baking, maybe because it scares me so much. You have inspired!